AGL has revealed a new ‘prepaid’ electricity plan, with customers rewarded with lower bills based on how much energy they purchase in advance. 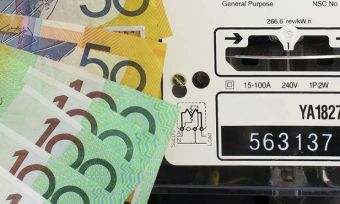 The retailer says its new variable rate plan will give households more control over when and how much they pay for power, with ‘bonus credit’ awarded in line with upfront payments. 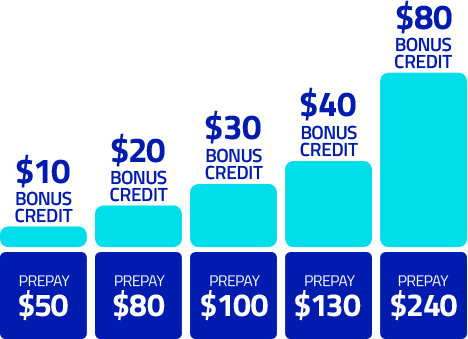 Customers who prepay $50 will receive $10 in bonus credit, while those who can afford to spend $100 will benefit from an extra $30. A maximum credit of $80 is available to customers who prepay $240. AGL’s standard contract rates are applied. Customers can track how much energy they are using via the AGL Energy App, with SMS and email alerts sent when they are nearing their credit limit. Those who fall behind with prepaid payments will be charged AGL’s standard, non-discounted rates. The point of prepaid power is to “simplify the process without complicated discount structures”, AGL’s head of product and pricing, Jo Egan, said. The prepaid plan is available over 12 months, with no lock-contract or exit fees. Customers can choose to pay weekly or monthly in advance, with any unused credit rolling forward. Customers who try the plan can switch to another without penalty, but bonus credit cannot be refunded or transferred to another account, AGL says. The prepaid plan is only available to residential customers in Victoria with a smart meter installed at their property. It has been revealed just weeks after AGL also launched a new fixed rate plan for Victoria, with usage and supply charges locked in for 12 months. Do any other retailers offer prepaid power? While AGL is the first of Australia’s major energy retailers to launch a prepaid plan, the idea of paying for electricity in advance is not new. Melbourne-based retailer Powershop has been inviting customers to pre-purchase future ‘power packs’ for some time, while also providing a smartphone app for them to track their usage and account details. A range of special packs are made available at any one time, with households able to pay for power up to three months ahead of time. AGL’s move to launch a prepaid option appears to be another sign that energy retailers are exploring new ways to keep customers engaged in the process of paying for power and – ultimately – loyal. In this instance, it’s important to understand that customers are charged AGL’s standing offer electricity rates and the bonus credit will simply act in a similar way to conditional discounts in helping to reduce overall costs. Falling behind with prepaid payments will see customers charged AGL’s highest prices. It’s good to see energy retailers trying new ways to engage with customers and encourage the use of tools to help monitor and understand their energy usage. However, the problem is that this particular AGL plan will be very difficult to compare to other offers on the market, meaning it will be hard for customers to tell whether or not they are really getting a good deal on price.